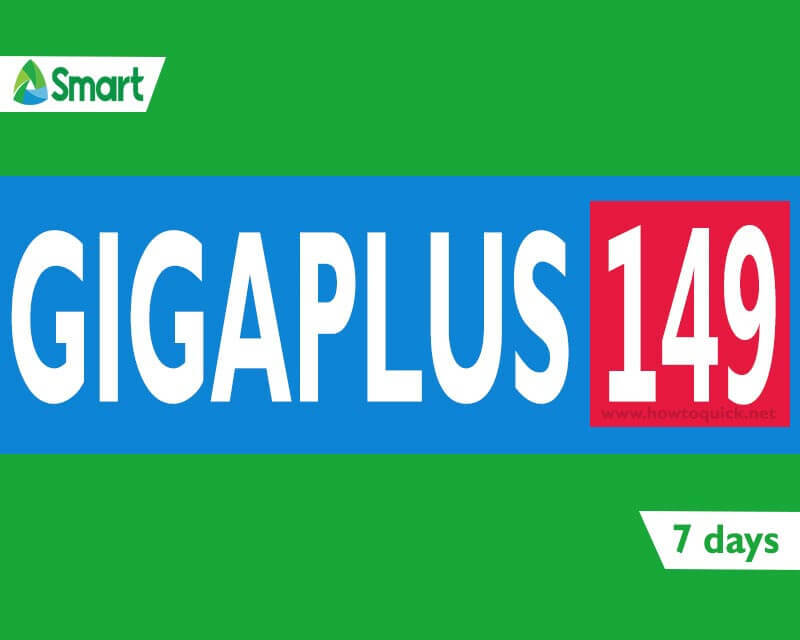 As Smart introduces the GIGASURF Plus, one of the favorite affordable bundle that subscribers love to register it the GIGA PLUS 149. It gives you unlimited text to all networks and you can enjoy nonstop calling to Smart/TNT/Sun Cellular up to 7 days. You also have 2GB of data allocation that you can use to browse your favorite websites online and additional 1GB data per day for streaming on YouTube, iFlix, iWantTV and more. With Smart prepaid GIGA+, you have all the network services you want in a single promo subscription for only Php149.00. You can subscribe via SMS keyword, online, load card and by visiting your Smart load retailers. If you prefer SMS registration, you can use the syntax or code provided below. Just text GIGAPLUS149 send to 9999. To sell, text GIGAPLUS149(space)11-digit customer mobile number then send to 343. You can also check Smart GIGA ALLNET promo with unli call and texts to Globe, TM, Sun and TNT. Wait for the SMS confirmation message from Smart before start using the promo to avoid unwanted load and data charges. You can also do a balance inquiry by simply dialing *121# menu on your phone menu.